Every year in the winter months the Salt Lakes in Larnaca are host to thousands of migrating flamingos, am impressive sight to see in all the many photos which pop up online every year but one I'd never seen for myself. So just before the boys went back to school I suggested we drive to Larnaca and have a look or ourselves. After our recent geocaching adventure I thought I'd take a look at the app to see if there were any near our destination, and the boys were excited to see that there were several. There was a geocache at the Kamares Aqueduct which caught my eye and we decided to head there first. I'd seen photos of the aqueduct and always fancied going to have a look but always decided it was a bit pointless to drive there and then have the boys moan there was nothing to do, plus the fact I didn't know where it was! A Super Super Hero Party! I've always been a party person, and looked forward to partying with my friends - although previously the main ingredients to the event would have been alcohol, and music. If you spoke to the 20-something me I'd have been amazed that a 7 year old's birthday party would be just as entertaining. 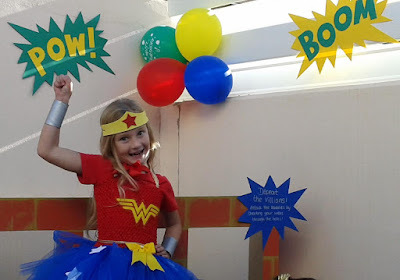 I've been to many of Sam's parties and Tiny Acorns events over the years and they are always brilliant but this took it to a whole new level - it was a Super Party! In actual fact, it wasn't a party - it was a Superhero training academy. The trainee superheroes took part in many activities, from jumping through the ring of fire, defeating the baddies and learning to identify the other superheroes and more. The games were played in teams so the older kids could assist the little ones and they all worked very well together. There was a bit of adult assistance when it came to wrapping the baddies but mainly because we wanted to play too! After all my flashback posts so far this month, we have made it to the end of the year finally and before the end of January! October is my birthday month, and last year I was determined to have a party, a proper party with dancing! 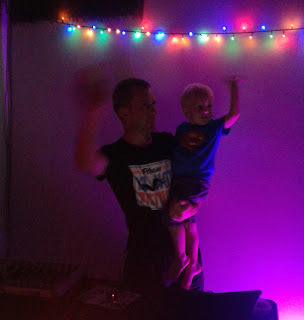 I considered going for a 'big night out' like we did in July for Sam's birthday but there would be to few people who were able to come so we went for the ever popular BBQ at home option, with the addition of some DJ equipment and lights to create the party balcony! October also saw the first ever 'Daxifest' - a family festival organised by the Daxigroup to raise money for local charities. We went, expecting to only stay for a couple of hours while the kids were happy but in fact ended up being there nearly 8 hours! It's amazing what a couple of bouncy castles can do! I managed a few blog posts for the rest of the month, including how Louka broke his arm while playing in the park and the Halloween fun we had. Moving onto July in my look back over 2015 I notice that I took very few photos that month, we were out a lot with work but the boys love that, in fact they are unimpressed we are now in the quiet period and keep asking when we are working next so they get to have Nana and Grandad come up to look after them! 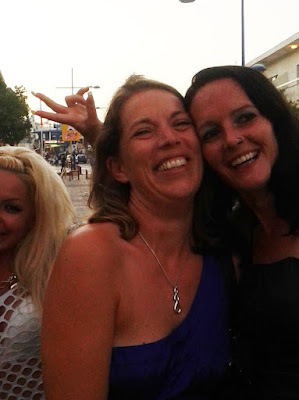 I had a blog post in my head for a long time, titled something like 'Summer 2015, powered by Shark and Mcdonald's' as for a while it seemed that we were living on drive through takeaways on the way to Paphos and Limassol and energy drinks. Apparently the shark drinks didn't give me enough energy to actually write the post as well though! As we approached the end of the holidays and after the excitement of Christmas and New Year, the boys were getting restless and I was running out of ideas to amuse them. The last few days were dragging as I was eager to get 'doing' and get on with the new year, I wanted to do something and to get them away from the tv and games consoles but with very little cash (and patience when it comes to arts, crafts or baking with kids) I was stumped. I turned to facebook, as you do for a moan inspiration and a friend of mine suggested geocaching. Initially I dismissed it, it sounded like hard work, and well, we'd have to leave the house! May, of course is Leo's birthday so most of the month was focused on that, and planning for the best party we've had so far! 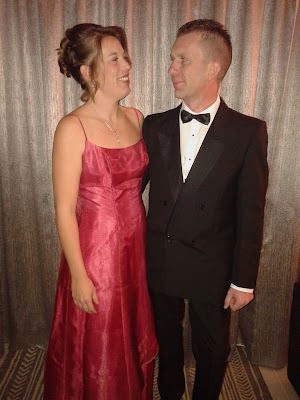 I even managed to blog about it! We had lots of after school playtime in the park. Leo's school (now Loukas) is opposite a small park so every day it was hard to to get straight in the car at lunchtime, but mostly I was not in any hurry so a bit of a run around and a couple slides made life much easier! We spent a lot of time at Tiny Acorns which my boys are now sadly too big for (they still run Mummy and Baby group every week). I'd forgotten how busy April was, looking back through my photos I see that we actually got out quite a bit for us and with other things going on it's no surprise that not much ended up on the blog! 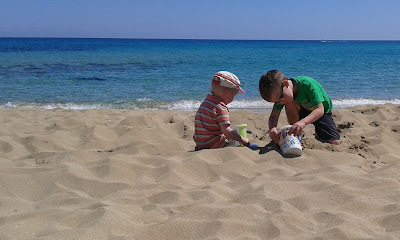 We had the first proper trip to the beach for the year, and I took the boys on my own, something that I had always avoided doing when Louka was smaller. 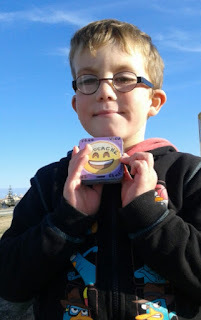 We went to the Camel Park, our second trip there but the boys had enjoyed it so much the year before. This time we went with friends and they loved it even more having an extra person to play with. We went exploring, and found Achna Dam, and the animal park that is next to it. It was a nice trip that ended up being cut short by a last minute photo booth booking (for that evening!) so we went again the following week! 2015 was not a good year for blogging as for the second year in a row I managed to write less posts than the year before, despite all good intentions to set aside time to focus on keeping it up! Since Louka was born in 2012, and I started the Famagusta Parents Network in 2014 and the start of our photo booth business last year the frequency of posts on this blog had sadly dwindled but I was optimistic I'd be able to set aside at least a few hours a week to keep up to date, especially with Louka being at school. A combination of too many websites, kids who no longer nap, and the distraction of multiple social media accounts was just too much! It could have been worse I guess, 60 posts in a year still averages to more than one a week, and only 7 less than 2014 when I wasn't working too!